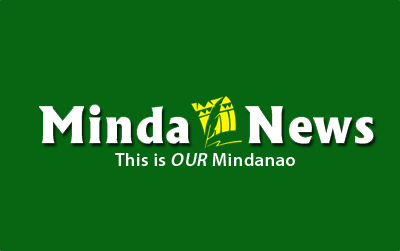 MALAYBALAY CITY (MindaNews / 25 June) – As with the war on drugs that has claimed thousands of lives, President Rodrigo Duterte’s order for the police to arrest “tambay” as “potential troublemakers” betrays a misunderstanding of – or refusal to understand – the social conditions that have produced that conspicuous “eyesore” in urban poor communities. He sees the tambay (including people who are wrongly tagged as such) as nothing more than worthless bums who deserve to stay behind bars – or beneath the ground in the case of Genesis “Tisoy” Argoncillo. Since Duterte is a former prosecutor and a long-time elective official, we know he knows that with the decriminalization of vagrancy, police no longer have a legal basis for picking up tambay whose only “crime” is sitting or standing in a kanto (corner). But he would have none of due process, liberty of movement and human rights. He is only interested in enforcing a semblance of order in the streets (read urban poor areas) even if it means trampling on the rights of people who are unjustly labeled as idle or potential criminals simply because they are tambay. The president is not alone in typecasting the tambay. Such attitude prevails among the denizens of plush enclaves and those who are not really rich but think of themselves as a superior species. The law on vagrancy may have been repealed, but the ingrained fear and contempt for that shirtless image of men lurking in the kanto persists. The unkempt guy holding a bottle of gin or brew in the kanto poses more danger than the man in tuxedo massaging a glass of imported brandy in a cozy setting. Class bias has created a divide that reinforces this administration’s misguided anti-tambay campaign and unfair, unfounded stereotypes. Being a tambay, so the myth goes, is a matter of personal choice not an imposition of social conditions beyond the poor’s control or comprehension. And in the frenzy to rid the streets of human eyesore, ignored is the fact that the poor have but limited space within which to socialize, relax or enjoy the scenes around their neighborhood no matter how fetid it may look to others. Take the case of slum dwellers who live in narrow quarters that serve as living room, dining room and bedroom at the same time. Imagine the inferno-like heat they have to endure, and wonder no more why they, the men in particular, choose to stay outdoor, oftentimes with no clothes on.